The Frosts Garden Centre story starts way back in 1897 when the Godber family bought the land in Willington which was to become Frosts Willington Garden Centre in 1972. However, the Frost family first became involved in the horticultural trade in 1946 when the late Harvey Frost bought the Woburn Sands site. Initially the site operated as a nursery growing mainly tomato plants and chrysanthemums. This was a wholesale business rather than a retail one. Starting in the horticultural trade immediately after the Second World War was not a popular choice! War torn Britain was recovering from the war and growing more vegetables and flowers was the furthest thing from most people's minds. But Harvey Frost was a man with huge determination and he slowly built up the business over the next few years and employed the most modern technology available at the time. The business developed into growing plants, principally chrysanthemums, zinnias, dahlias and others for the cut plant trade. By the early 1960s Harvey Frost had spent many years in the horticultural industry and watched with interest as the Americans developed new techniques to grow huge amounts of pot plants for sale in retail outlets. He grasped the opportunities of this new growing method and in 1962 opened up his first retail garden centre on the grounds of the nursery at the current Woburn Sands site. The risks were considerable because only a few other entrepreneurs had, at that time, adopted the American growing methods and made them work in the UK. The Frosts Garden Centre at Woburn Sands proved very popular however and business quickly grew under the guidance of Harvey Frost and his two sons, Adrian and Brian. Brian Frost soon became the key man behind the garden centre at Woburn Sands with Adrian developing a separate landscaping and garden maintenance side to the family business. The next major development in the business occurred in 1972 when Richard and Candida Godber went into partnership with Adrian and Brian Frost. The Godber family had owned a nursery on the current Willington site from 1890. In 1972 the Frost and Godber families opened the Frosts Garden Centre at Willington. The next major development was probably the most significant. The Frosts leased some land on the current Millets Farm site for use as a garden centre. The two businesses have developed massively over the years and they now provide a destination which is truly a day out for the whole family. To date, the final development in Frosts Garden Centres was the purchase of the Brampton Garden Centre in September 2001. The Brampton Garden Centre was owned by Bob Bickerdike who died soon after his air balloon crashed in the Alps in 2011. 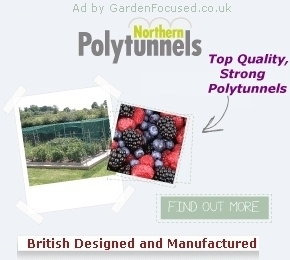 The list below includes all the Frosts Garden Centres with links to our reviews of them where applicable.